84-Piece Cookware Combo Set Just $44.99! Down From $90! PLUS FREE Shipping! You are here: Home / Instagram / 84-Piece Cookware Combo Set Just $44.99! Down From $90! PLUS FREE Shipping! Until July 22 only! 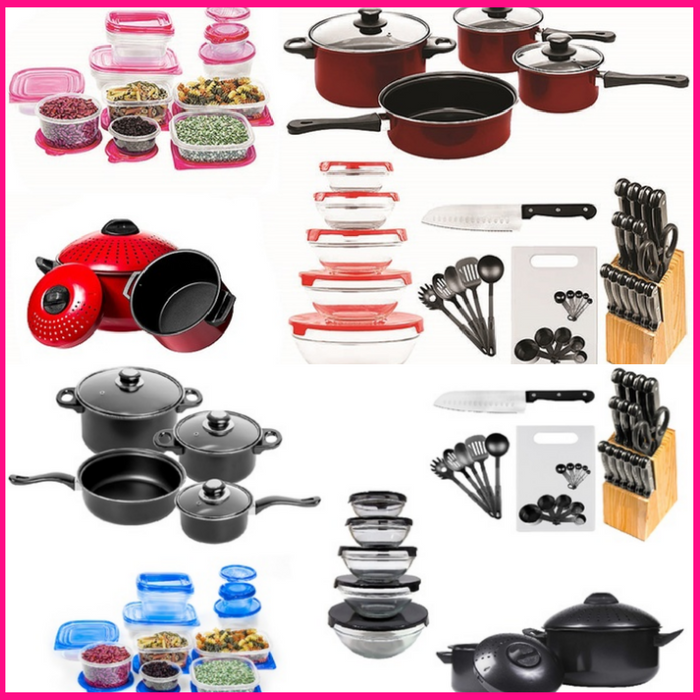 Head over to Groupon to score this amazing 84-Piece Cookware Combo Set for just $44.99 down from $90 PLUS FREE shipping! The set includes 7-Piece Cookware Set, 4-Piece Pasta Pot Set, 29-Piece Cutlery Set, 34-Piece Storage Set and 10-Piece Glass Bowl Set! This can be a great wedding gift! Really, awesome!